Dry? Dull? Dehydrated skin? Issues with acne or sun damage? Need a little pampering? It's time to relax, rejuvenate and renew. We invite you to experience Simply Luminous, Welcome! 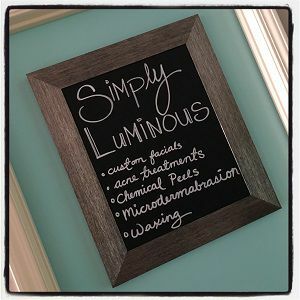 Simply Luminous is owned and operated by a Licensed Esthetician and certified Master Spa Therapist, Jacqueline Ryan. We all need a little R&R to shut the world out for an hour to "just breathe". Getting a facial or skin treatment is the most relaxing way to take care of your skin. 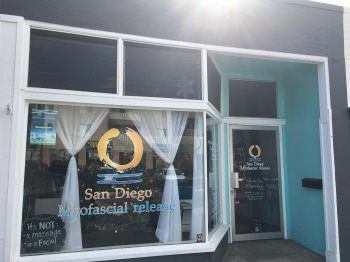 Our boutique day spa studio in La Mesa Village, provides individual attention, custom treatments, and a variety of advanced treatments for acne, hyper-pigmentation, and peels. You will experience the sound of ocean waves, soft lighting, a warm heated table and relaxing aromatherapy. Built from the love of caring for others, we specialize in skin rejuvenation, acne and sun damage. Microdermabrasion, chemical peels, acne treatments, custom facials and more are just a click away. Explore the possibilities as you browse our website. Take charge of your health and beauty today with professional skin care. Treat yourself well. You deserve it! Our mission is to offer beneficial corrective therapeutic esthetic services in a caring, relaxing, professional environment. We offer a variety of custom, advanced, and clincial strength facials. Our licensed estheticians have thorough knowledge, experience, and certifications in a variety of skin types, conditions, and advanced esthetic techniques utilizing procedures such as microdermabrasion and LED Therapy. Building relationships of trust is vital and established through positive conversation and thorough skin analysis which lets clients know that it is not about the bottom line but about THEM. We will give each client the personal attention, care, and confidence needed to achieve the goal-oriented results they deserve. In our treatment room we use Control Corrective and Skin Script. Both lines specialize in corrective skin care for all skin types and ethnicities. They contain ingredients such as antioxidants, glycolics, retinols, and jojoba that help diminish hyperpigmentation. Products target concerns of aging, acne, clogged pores, fine lines, and age spots. They are free of petro chemicals, parabens, synthetic dyes and fragrances. They are also cruelty free. We take pride in using and carrying these products in our spa. Please visit our online store for more information. "Skin care is my passion and my profession. My education, professional license and certifications are what set me apart. Quality services and care given by a licensed professional with clinical strength products are vital for optimal goal oriented results. I am determined to help you love the skin you are in! We all have the desire to look and feel our best. Regardless of the issue, I am here to help you achieve fresh hydrated healthier skin. Individual attention is my specialty." Simply Luminous recommends a series of 4-6 treaments for beneficial goal oriented results so take advantage of our special offer today. When you purchase a series of at least 5 treatments receive the 6th for FREE. Referrals are the best compliment you can give us. When you refer someone to Simply Luminous and they book with us you will receive FREE hydrasonic deep cleanse upgrade at your next appointment. Thank you in advance for your loyalty and referrals.